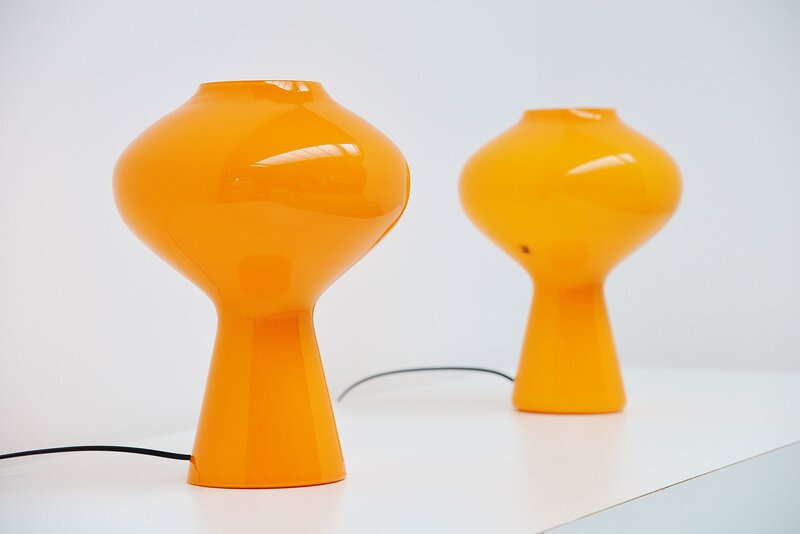 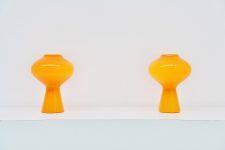 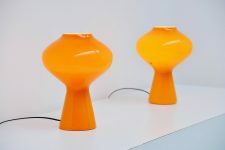 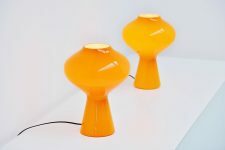 Large sized Fungi table lamp pair designed by Massimo Vignelli for Venini Murano, Italy 1960. 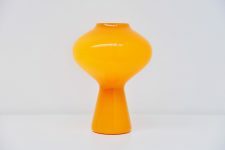 This is the largest and rarest size of the 3 sizes that were made. 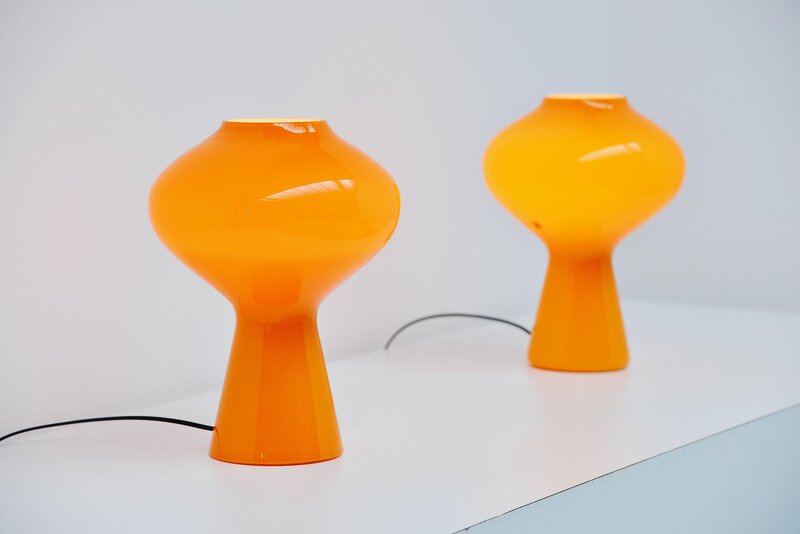 Its made of very nice bright orange glass and gives very nice warm light when lit. Very nice and decorative pair of table lamps, hard to find in a pair. 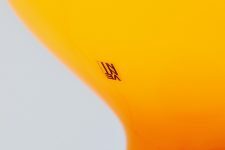 One of the lamps still has its original Venini sticker.